There’s a lot going on in Swansea and the surrounding areas over the summer months, so we’ve come up with a few suggestions to make your weekends feel like mini-breaks from the comfort of your own home. The JCP Swansea Half Marathon, voted the best half marathon with over 5000 runners in the UK, is set to return for its fifth year on Sunday June 24th. With a faster and flatter track this year the race is set to be as exciting as ever and will see thousands of people lining the streets to support the runners as they make their way around the course. 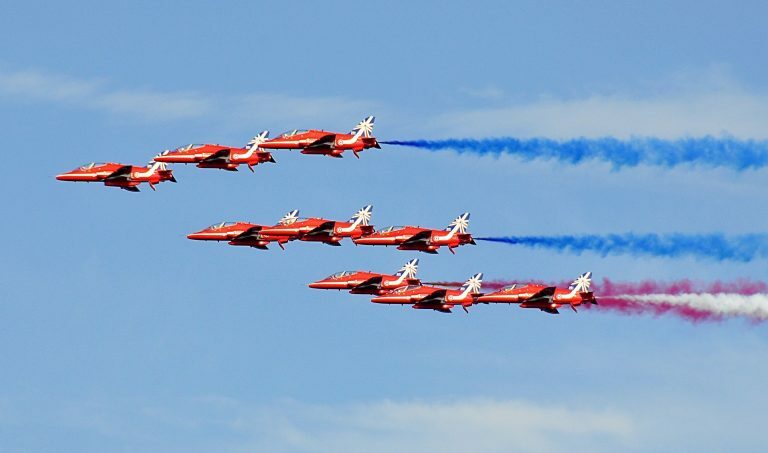 The Wales Airshow is one of the biggest dates in the Swansea calendar and attracts thousands of people to the stretch of sand across Swansea Bay over the last weekend of June into July. Displays this year will include a flying boat, wing walkers and the Red Arrows! The Mumbles RNLI Raft Race is another famous annual event in Swansea and one that is a great day out for all the family. For the first time in 30 years the route has changed and the rafts will now have to go out from Knab Rock to a halfway marker and back in. The race takes place on August 5th this year and is a great chance to enjoy a summer’s day whilst raising money for a worthwhile cause. As well as some of the major events going on in Swansea there are a number of all weather attractions that can be enjoyed every day throughout the summer including those at the Pier. At Mumbles Pier we have the amusement arcade, bowling alley, Beach Hut café, Copperfish restaurant and our new gift shop and ice cream parlour ‘Beaches and Cream’ all of which can be enjoyed come rain or shine. We also have our own private beach that’s reserved exclusively for paying customers and with stunning views out towards Mumbles lighthouse and a golden stretch of sand you can relax in the sun and really feel like you’re on holiday.